In the Meantime...: remarkable secrets about things to come. Prayer is a funny thing. Have you ever felt like your words or thoughts are just bouncing off the ceiling? I feel like this a lot. It's a hurdle for me in my prayer life, but I know that God has gifted me with conversation with Him. Yes, there are times when the conversation seems more like a monologue. However, the Word says that it's to His delight and for my betterment that I seek Him. So I do. Well, I try to, at least. The following paragraphs are my best attempt of putting into words how God has been speaking to me lately and responding to my prayers. Warning: If words were money, I spent my whole pay check on this entry. God has just been showing up in so many places in my story. So last week, God ripped Scripture open for me (see Pits and Promises). Out of the several awesome chunks of Scripture He showed me, I chose to memorize one particular verse that just caught my heart. Jeremiah 33:3: "Ask and I will tell you remarkable secrets you do not know about what is to come." I'd been seeking the Lord a lot lately about my future and what He dreams about me doing for His kingdom. This verse was a promise I could hold onto. As I asked, He would reveal. He would reveal His heart for me, for the world, and for those that I can love and serve in the Name of Jesus, for the glory of Jesus. I've repeated that Scripture over and over this past week. His Word. Swim in His love and grace. Know Him and be loved and changed by Him. up to in your life in both struggles and joy. I continued to chew on this passage. It made me think of my excitement to be a godmother soon! In about a month, a new life will enter the world and I've been invited to be a permanent part of that child's life. I get to love this child relentlessly, teach this little one about how much Jesus loves her/him more relentlessly, and support the tike's parents in raising her/him. It's thrilling to me--God's crazy love for younger generations, even ones unborn. So this morning I'm in worship. I'm continuing to ask God to share His remarkable secrets with me about things to come. And wow. I was astounded by what happened. We looked at Proverbs 4 this week. It's all about wisdom being passed down through generations--mostly from a father to his children. Our guest preacher, Dean, let the Holy Spirit speak some powerful truth through him today. He talked about what a great Dad our Heavenly Father is. He promises love and wisdom and grants it to us faithfully. One of the greatest reasons He does this, is so we can share that wisdom and God's love with future generations. Wow. There's a lot of connecting going on for me. I'm gripped as he continues to speak. 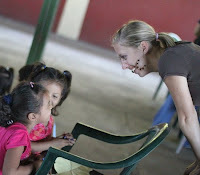 My beautiful college students in Nicaragua. Dean points out Psalm 78:5-7 which basically mirrors that of Psalm 22, with similar language and everything. I'm in awe. He charges everyone in the room with the responsibility to love those children and young people intrusted to them. Parents, grandparents, singles, uncles/aunts, friends. He reminds us that it takes a village to raise a child (a quote I used YESTERDAY when talking to my godchild's grandmother who happened to be at the conference). I suddenly felt joy as I thought back to the Scripture I'd read last week in Isaiah 49 about my most desolate places being full and saying "who has given me all these descendants?" God was showing me that even as a single, young woman, He has entrusted me with the lives of many young people to whom I need to speak His love and truth. I have little cousins, friends' children whom I love dearly, beautiful Keyla that I sponsor in Nicaragua, lots of college students that I love more than I understand and desire Godly lives for, my volleyball girls from the fall, and now my godchild. There is no waiting when it comes to loving and raising up future generations. This has been going on and will continue. I was brought to tears when I realized that God had entrusted these people to me to love on His behalf. Then Dean shared a few more Scriptures. Deuteronomy 6:4-9--a Scripture that we looked at over and over again in my college ministry program. Then, he read it. Jeremiah 33:3. My verse for the week. My jaw dropped as I looked at my friend and said "no freaking way." I began to get really emotional and you'll soon see why. Since I was maybe in high school, God has been growing my heart for those who haven't been chosen--especially children. Those who don't have supportive parents, who were told they weren't wanted or couldn't be made a priority, and especially the orphaned of the world. There are few groups of people more dear to my heart. God's Word even says that right religion in His sight is looking after the orphans and widows and not being corrupted by the world. I've dreamed through college about adopting children. 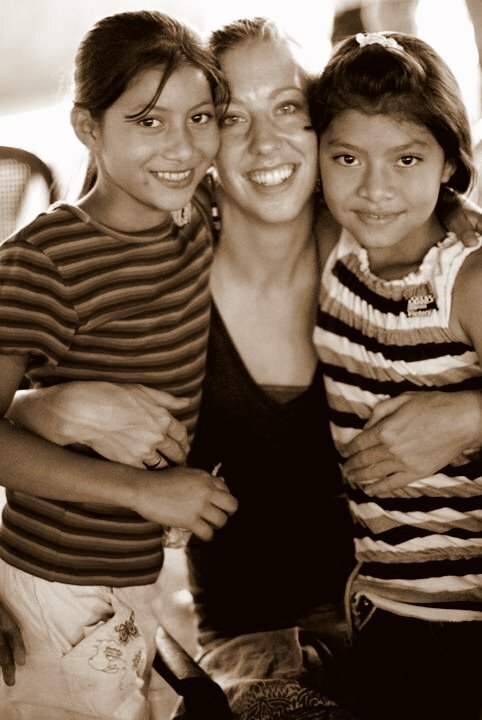 My roommate and I had dreams of moving to West Africa or Latin America and starting an orphanage where we'd sit on the porch and choose children who need to be chosen. It's almost laughable--I'm even reading a book right now about a young woman who up and moved to Africa and ended up adopting 14 children there (Kisses from Katie). I asked for God's wisdom about the remarkable secrets of things to come. I think He was showing me a glimpse today. I think He knows I need a lot of hints. But it's clear to me that in some way, I was made for choosing those who haven't been chosen and showing them they were already chosen by their faithful heavenly Father. As I stood their singing, "I will go, Lord, send me...take everything I am, I'm clay within your hands," I felt God saying, "oh sweet girl, I'm going to use you for this." I don't know what that looks like yet. I hope it looks like serving on teams that relieve orphanage nannies and mothers or even being an orphanage mother! I hope it looks like a time and place in life where I can adopt children and choose them. Until He reveals a few more secrets, I will be finding ways to invest in and love young people with God's love wherever I am living and serving. I am so very open to how God wants to use that passion in me for His Kingdom. God's dreams are so big. I'd love your prayers in preparing me and leading me for what He has in store. I'd also love for you to join me in praying about and acting on how you can influence generations toward Him and with His love. It's something that even those of us in the meantime can invest in. Heck, maybe this is what we've been waiting for!